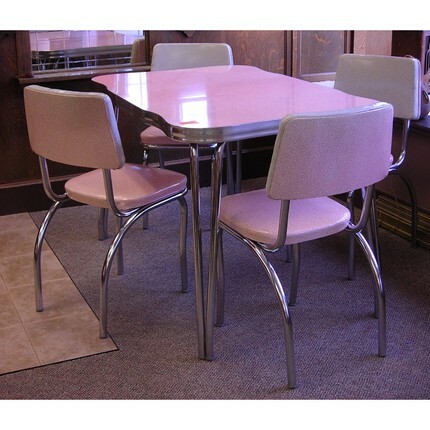 Cracked Ice and Chrome · Chrome table alert! January 15, 2010 in 1950s, Retro finds! | Be the first to comment! Just spotted this beauty on Etsy. Oh, it’s a beauty. I am envious already of the lucky person to snap that table up! The shape of the table is interesting, isn’t it? Retro Chromcraft table from NE for sale!